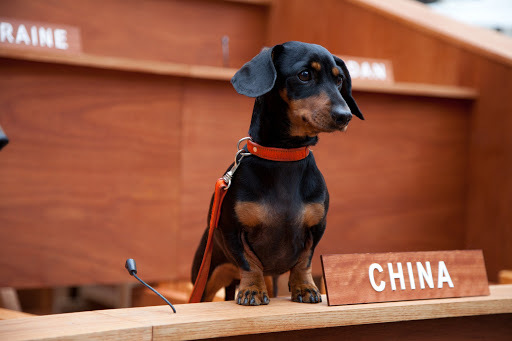 “It’s a dog eat dog world.” A phrase commonly applied to business or politics, it has never sounded more appropriate than after checking out the North American premiere of Dachshund UN last night. 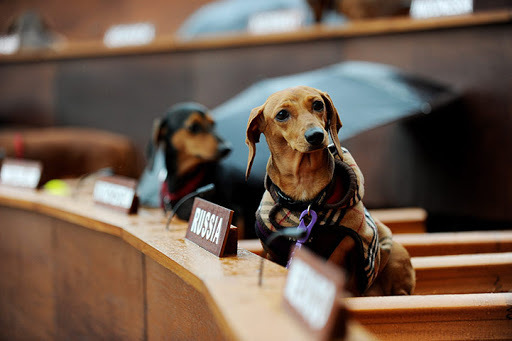 Part of the World Stage programming, this show features a group of dachshunds representing the Commission on Human Rights. 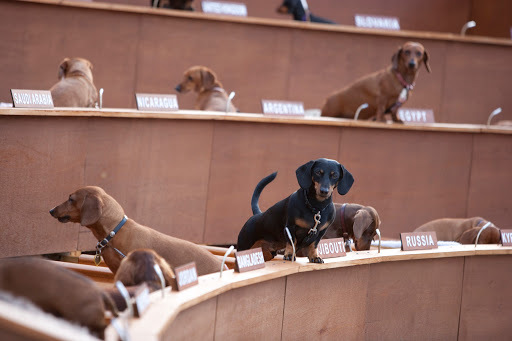 Dachshund UN was first created by Australian sculptor and installation artist Bennett Miller. Miller’s works regularly feature live animals as performers, such as in last night’s show. 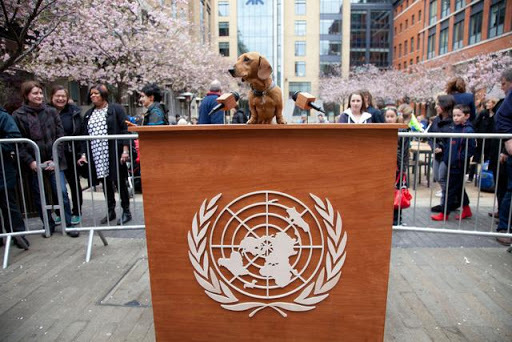 Dachshund UN was first developed for Next Wave Festival in Melbourne, Australia. Its run at Harbourfront is the first time it’s being presented indoors and on North American soil. We didn’t know quite what to expect when we went over, but it wasn’t hard to sell us on puppies. When the curtain went up, a gasp of delight went through the audience – DACHSCHUNDS WERE EVERYWHERE! Unlike at most theatre shows, Dachshund UN encourages the audience to take photos and share their experience via Twitter/Instagram. We also engaged in a lot of squealing and catcalling to the dachshunds. We suppose that there’s some greater meaning that we should’ve gleaned from the show; perhaps a commentary on civics and citizenship? The program notes suggested that the chaos of animal performers in a live theatre environment is about surprise and is an experience worth observing. For us, it was more about self-restraint – do you have any idea how hard it is to resist running up and petting puppies after watching them for 40 minutes?? Some highlights of the night included when Pakistan started to hump Slovenia, the United States would not stop howl-barking the whole time, the Netherlands lazily rested his head on his nameplate and France and the Ukraine were nuzzling besties! Is this a commentary on each of the countries they represent? Perhaps. Or they’re just puppies being puppies. Pro tip: Be sure to hang around the stage door following the performance to greet the actors as they head out. If you ask extra nicely, their handlers will even let you pet them. Finally! Dachschund UN is on-stage at Harbourfront Centre’s Enwave Theatre with performances tonight at 7 p.m. or Saturday and Sunday at 2 p.m. Admission is free, on a first come first serve basis. All images courtesy of Harbourfront Centre. 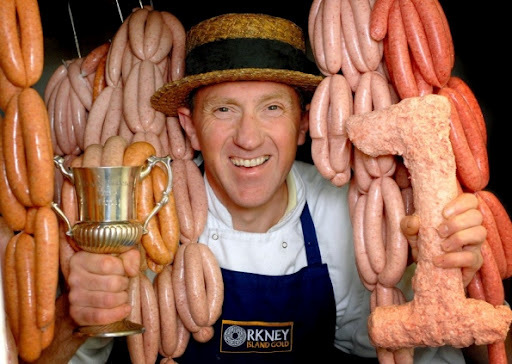 What’s Sausage League you ask? Listen, we know Pride Week just ended but let’s keep our minds out of the gutter. 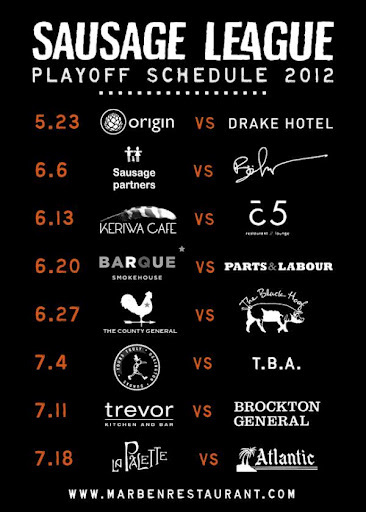 Now in its second year, Sausage League is hosted by Marben (488 Wellington St.) each Wednesday from May to September. Chefs from restaurants across Toronto compete to see who can create the best sausage dish. After hearing rumblings of this epic swine showdown, we attended last week’s round with The Black Hoof battling it out against County General. The Sausage League arena – Marben. Here’s how it works: $25 buys you a plate from each competitor, a bottle of Steam Whistle and a voting ballot. The dishes are served anonymously and are identified as “red plate” and “blue plate”. Last week’s red plate took a more traditional approach with a Polish-style sausage served with pierogies, creme fraiche and beets. The blue plate went way outside the box with a boudin noir stuffed with apricot roasted peanuts, topped with popcorn (!!) and greens. Needless to say, our vote went to the blue plate. It turns out we were in the majority, as the blue plate (a.k.a. The Black Hoof’s Brandon Olsen) took home the W.
Who will be this year’s champion? DON’T: Make your reservation late. Ours was for 9 p.m. and half our table didn’t get sausages because they ran out. Learn from our mistake: the early bird gets the sausage. 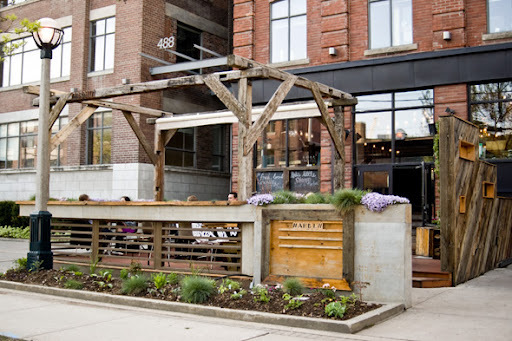 DO: Go with a bunch of people so you can try other menu items too. We highly recommend their burger. DON’T: Be afraid to try something a little out of your comfort zone. The Black Hoof’s entry was blood sausage, which sounds terrifying but was actually super delish (see above). DO: Keep your eyes peeled for the infamous Chef Grant Soto. We spotted Twitter’s golden “chef” sitting at the bar testing out the bangers. We almost asked for an autograph, but held ourselves back. 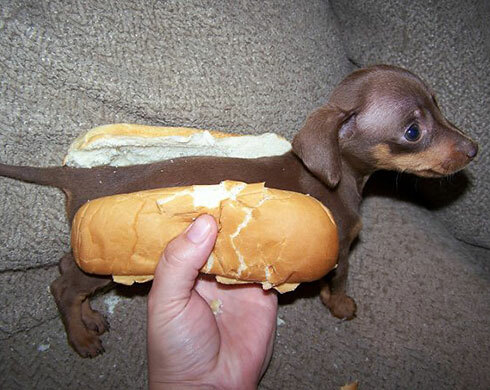 A hot dog isn’t a sausage, but we couldn’t resist this picture! Tonight’s showdown is Yours Truly vs. The Yukon. You can view the complete competition calendar below or here.